La Paz, officially known as Nuestra Señora de La Paz, is the third-most populous city in Bolivia, the seat of government and the de facto capital of the country. It is also the heart of the most populous urban area in Bolivia and the capital of the La Paz Department. La Paz was founded by the Spanish conquistadors on the site of an ancient Inca city. Although the conquistadors arrived in the area in 1535, they did not found La Pas until 13 years later. The city was founded by Alonzo de Mendoza to commemorate the end of Peruvian civil wars and named after Our Lady of Peace. Although many cities around the world chose to adopt their foundation anniversary as their official holiday, La Paz is an exception. On July 16, 1809 Pedro Domingo Murillo initiated an anti-Spanish uprising that is now considered the starting point in the struggle for South American independence from the Spanish rule. The anniversary of this historic event was later declared as La Paz Day. 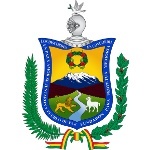 La Paz Day is a municipal holiday in Bolivia’s de facto capital. The celebration begins with a torch lighting ceremony at the Plaza Murillo, followed by a parade through central La Paz, concerts and street fairs, and a spectacular fireworks display.